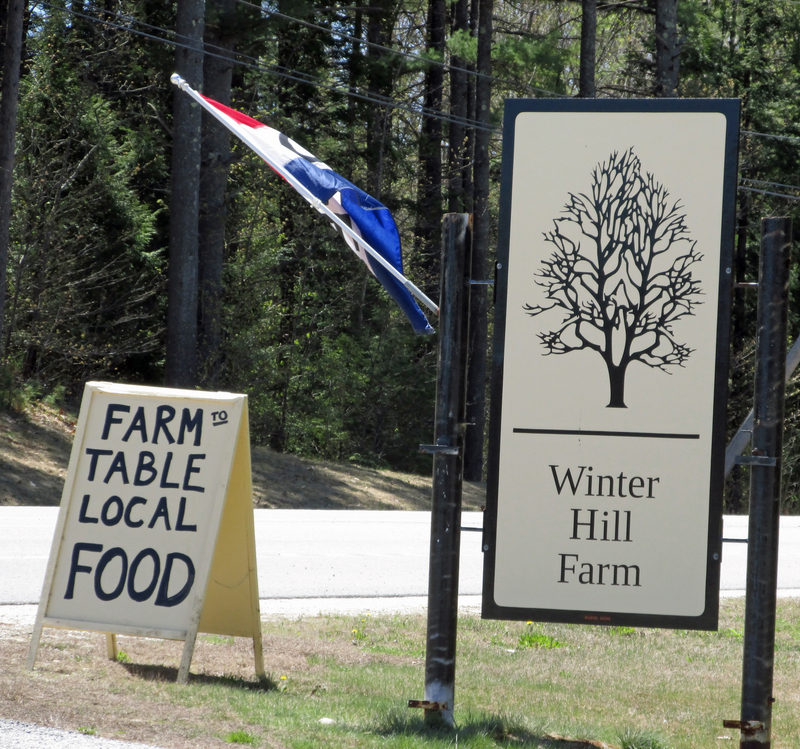 We lack good restaurants in the Antrim/Hillsborough New Hampshire area. There are a lot of “frozen stuff dumped from bags into vats of oil” type places to eat. Don’t get me wrong, I can eat fast food as happily as the next person. 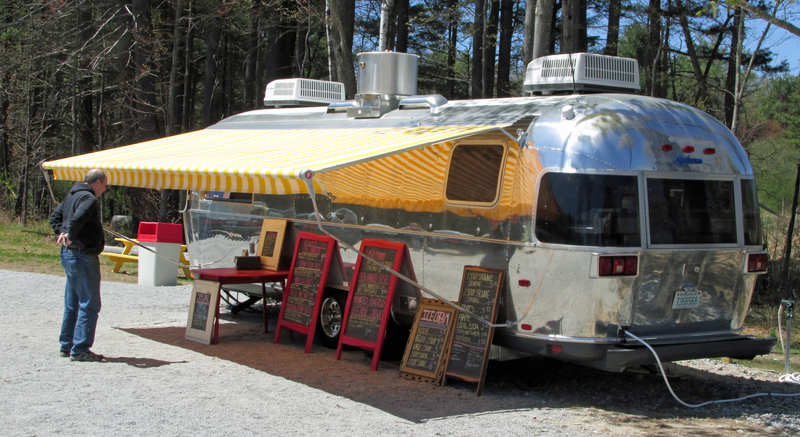 I avoided eating at the airstream trailer near the giant Blue Bull because I assumed it was just going to be burgers and fries. Still it had that “farm fresh” sign. I stopped with my husband and found the food was excellent. The ham in the cuban sandwiches we had were from pigs from the farm of the owner. He could probably have told us the name of the pig we were happily munching away on. There was also ice cream. I’m not saying it was a health food place, though that is an option, but it was food that was indeed made by the owners. The hand cut fries were also of the melt in your mouth variety. 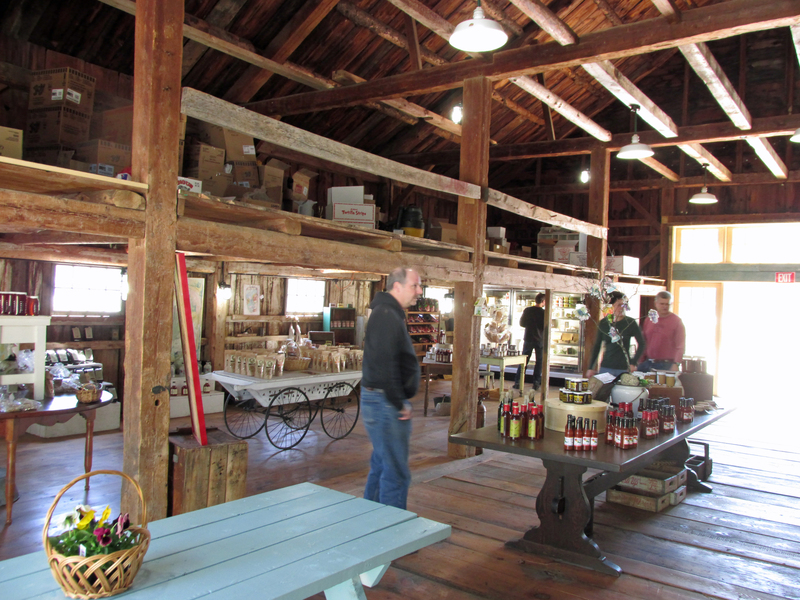 There is also a barn, where local products from soap to soup are sold. This includes, hams, brats and bacon all from the owners farm. We’re going to be stopping at the Blue Bull a lot this summer. I’m hoping it will be a success. Hillsborough and Antrim are wonderful, but rather blue collar. 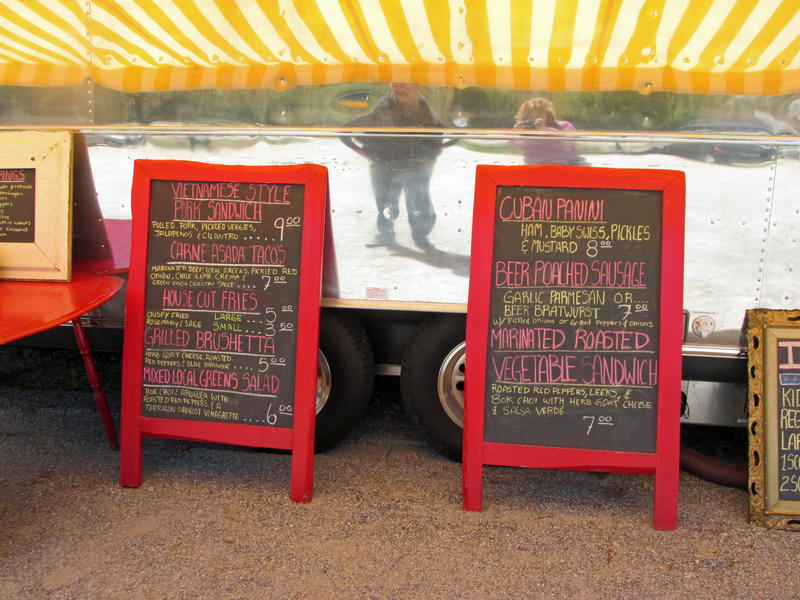 The prices for the sandwiches and food choices might not please the locals. 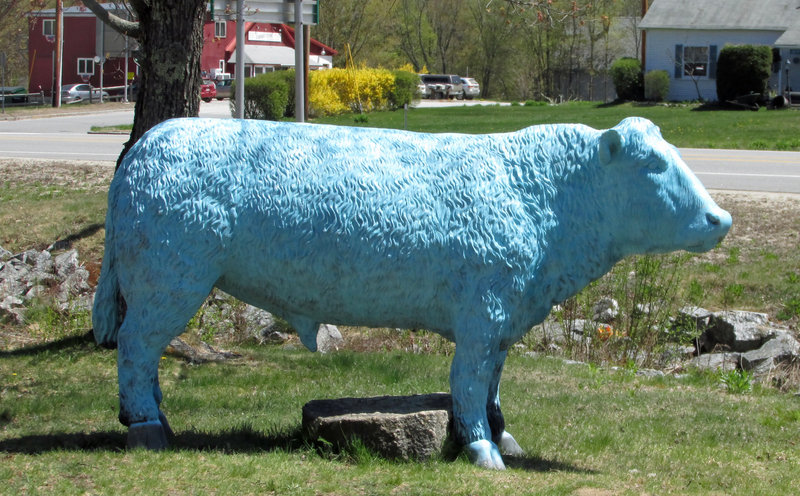 However, the Blue Bull is located just where all the tourists go driving by. I hope they at least will keep the place going strong for the summer season. The food is delicious there. I had the pork sandwich and fries and they were awesomeness. The store is full of lovely local stuff too. Thanks for spreading the word Kitty.